Throughout the world, bees have played an important part in symbolism since Ancient times. This charming Honey Bee ring is the epitome of style and elegance, symbolising wisdom, wealth and prosperity. 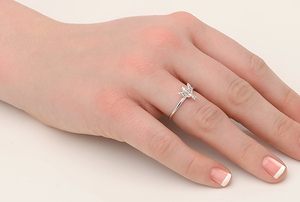 Sterling silver is beautifully hand-finished with 9ct rose gold detailing, it truly makes for the perfect gift.